Occasional departments will post student job on the main careers site, careers.olemiss.edu. Select the “STUDENT”on the main page. Or the link, View all Student Opportunities. You are encouraged to contact departments directly (such as the general library, student union, student housing, etc.) to find out if there are student positions available. Once you have been offered a student position, you must complete online onboarding (employment) forms in order to get paid. The “New Employee Wizard” link will be sent to you via email. Please set aside approximately 30 – 45 minutes to complete the onboarding process. When you begin to complete your onboarding information, you will be asked to create a password with a security question. Please remember this password as you will be prompted to re-enter it at the completion of this process for verification purposes. Your password must consist of at least eight (8) characters, including one uppercase letter, one lowercase letter, and a symbol or special character. In order to complete this online process, please make sure that you have the following information: social security number, bank details, car tag, car make/model, driver’s license, information to complete Form I-9 and emergency contact information. 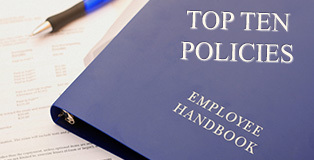 It is very critical that each employee present proof of authorization to work at any time prior to, or within the first three (3) working days of their initial employment. After completing the online onboarding (employment) forms. Any time prior to, or within the first three (3) working days of your student employment, visit Human Resources with your original acceptable documents as outlined in the instructions. Human Resources is located at Lester Hall, Second Floor, Room 220. Assistance is available Monday – Friday, 8am – 5pm. To be set up for travel only student only need to complete the Student Directory Card (Requires Adobe Acrobat Reader) and bring the completed Student Directory Card to Human Resources with a voided check or checking account details in order for the reimbursement to be processed. All of the forms are also available at the Department of Human Resources in Lester Hall. For more information please contact the Student Employment staff at 662-915-1531.